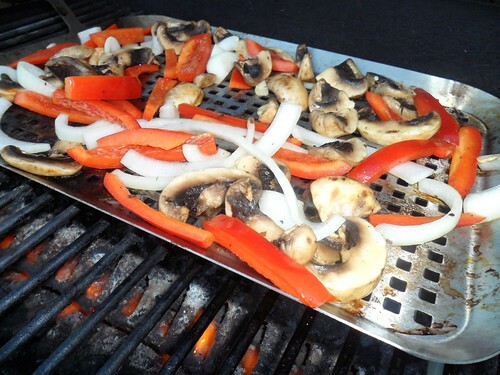 Recently I purchased a Grilling Grid for grilling veggies. Last night I finally got a chance to try it out. They were so delicious and sweet. There are onions, mushrooms and bell peppers on there. I lightly tossed them in olive oil and salt and pepper. I stirred them around a couple of times on the grid while they were cooking. Sheer perfection. They may not look like pure bliss but they were oh so yummy! Can’t wait for the next time I can grill some veggies.